What shall we do with the following passages? Do you know of other passages? Will It Present a Problem? What do the oldest manuscripts say? Did a scribe try to harmonize with another text? Did a scribe add details that he knew existed? Does the margin provide insight? Is the Message Changed by Including or Excluding the Text? What if you clean up some of my books. Could you figure out which part of a book went with another part? If you found a part that did not belong, would that nullify the whole book? 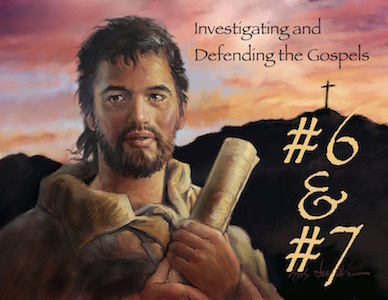 What is the meaning and application of John 7.17? Does this affect the inerrancy and infallibility of the Bible? God gave us His word. Now we choose what to do with it. John 7.17 guarantees that we will have what we need. so it is with the word of God. Someone’s tampering with it does not negate the valid parts. No manuscript variation affects any doctrine!